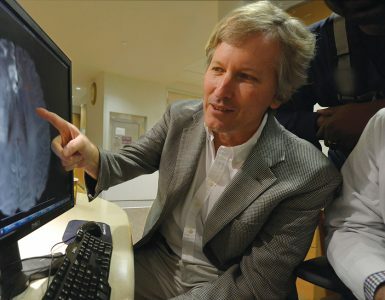 A retinal ophthalmologist who created the first retina service between Baltimore and Miami, bringing new sight-saving procedures to people in eight Southeastern states, and a longtime MCG Department of Radiology and Imaging faculty member who is active in the MCG Alumni Association and on the MCG Foundation’s Board of Directors, are recipients of the 2018 MCG Distinguished Alumni awards. Dr. William S. Hagler, (see MCG Medicine Fall 2017/Winter 2018) a 1955 graduate, is MCG’s Distinguished Alumnus for Professional Achievement. After his graduation from MCG, he completed an internship at Parkland Memorial Hospital in Dallas, Texas, and his residency in ophthalmology at the Emory University/Grady Memorial Hospital program in Atlanta in 1959. He was then awarded a Heed Foundation Fellowship to study retinal surgery at the Massachusetts Eye and Ear Infirmary in Boston. After fellowship, he returned to Atlanta to become the first full-time faculty member in the Department of Ophthalmology at Emory University School of Medicine, where he trained residents and established a fellowship program, eventually training some 37 ophthalmologists in medical and surgical diseases of the retina. Having arrived at Emory in a time of great racial turmoil, he initiated efforts to integrate Emory Hospital by insisting that his African-American patients be operated on there. Throughout his career, he never turned away a patient because of inability to pay, nor did he receive financial compensation for his teaching and research activities. In 1971, he, along with Drs. William Jarrett and Alvin North (’58), established the first multispecialty ophthalmology group in Atlanta and he served as its president for many years. This group subsequently became Eye Consultants of Atlanta and now employs 29 ophthalmologists practicing in 10 locations in Georgia. In 1973, he and Jarrett were appointed Clinical Associate Professors in the MCG Department of Ophthalmology. Ophthalmology residents from MCG spent a three-month rotation with them in Atlanta during their three years of residency training. 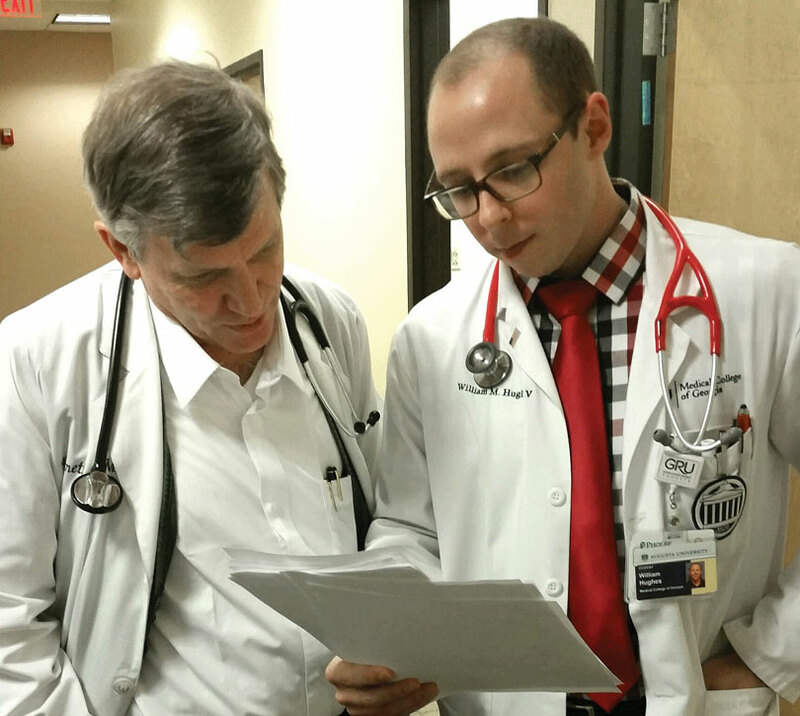 In 2015, Hagler established the William S. Hagler, M.D. Distinguished Chair in Ophthalmology at MCG to support teaching of medical students, residents and research fellows, lectures and pilot programs in vision science. Hagler has served as president of the Atlanta Ophthalmological Society and was the first president of the Georgia Society of Ophthalmology. He was a charter member of the Retina Society and served on its credentials committee and represented the Retina Society on the Council of the American Academy of Ophthalmology. In 1975 he received the Academy’s Award of Merit. In 1980 he was elected to the prestigious American Ophthalmological Society. He was largely responsible for instituting an interim meeting of the Georgia Society of Ophthalmology in which residents from both Emory and MCG were encouraged to present papers on their research. He co-authored many papers with his residents and fellows over the years. He published over 90 scientific papers and gave over 180 presentations during his 37-year career. Hagler was also active in various international organizations. He was on the medical advisory board of Project Hope, and served on the Hope Ship in Sri Lanka, Brazil, Jamaica and Tunisia. He and his colleagues were the first to train native ophthalmologists in these developing countries in the modern techniques of retinal surgery. 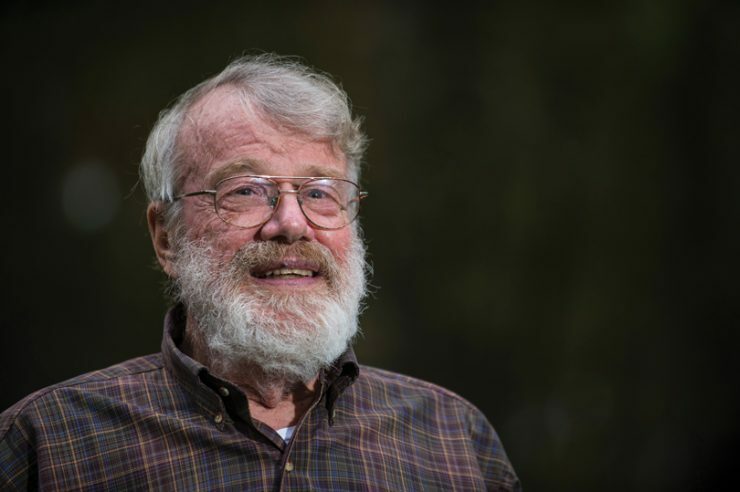 He and his fellow, Dr. Harry Taylor, made a clandestine trip to communist Cuba in 1967, where he operated on an American missionary who had been imprisoned by Fidel Castro. Dr. Lloyd B. Schnuck Jr., a 1968 graduate of the state’s public medical school, is the recipient of the Distinguished Alumnus Award for Loyalty. 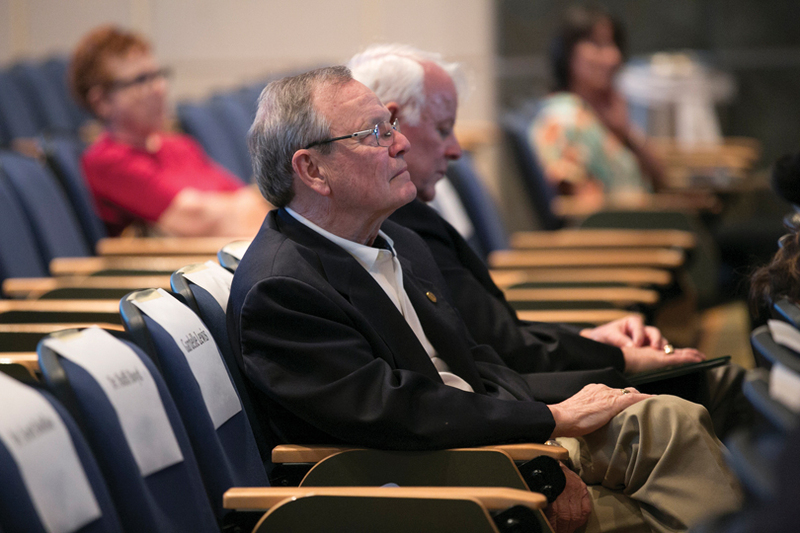 After graduating from MCG, Schnuck completed his internship at University Hospital before returning to MCG for his radiology residency, serving as chief resident from 1973-74. Schnuck also served in the United States Army, as a captain battalion surgeon in the Fifth Special Forces Group. He was awarded the Combat Medics Badge, Parachutist Badge, Bronze Star, Air Medal, Vietnam Campaign Medal and National Service Defense Medal. He has worked at hospitals and schools all over the state of Georgia, but always returned to Augusta. From 1974-75, he served at Doctors Memorial Hospital in Atlanta. From 1975-80 – and again from 1993-95 – he served at Liberty Memorial Hospital in Hinesville, Georgia. He served on the Advisory Committee for Armstrong State University’s School of Radiologic Technology from 1982-95 while simultaneously acting in different positions at Candler Hospital, including chair of the Department of Radiology, vice chair and radiation safety officer. 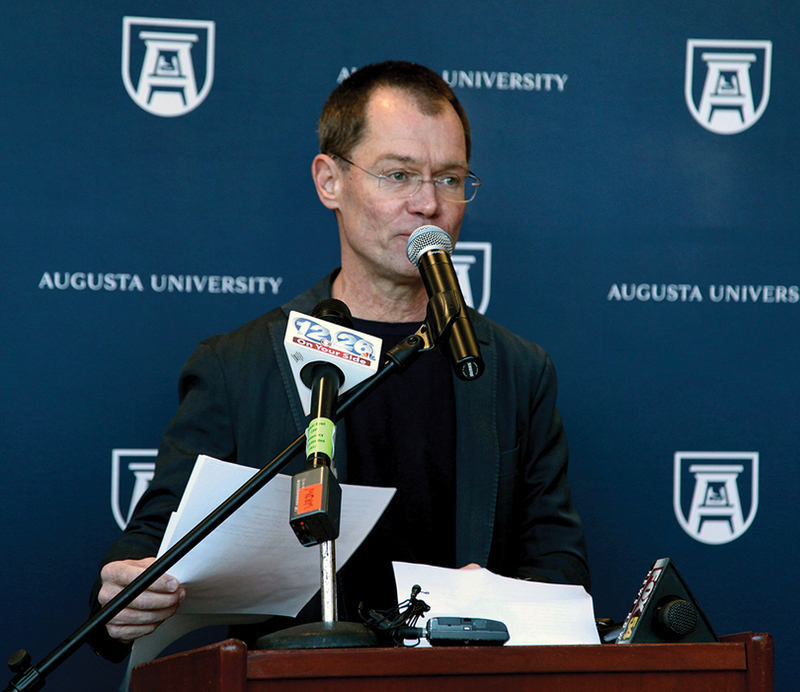 In 1995, Schnuck moved back to Augusta for good. From 1996-2012 he practiced medicine at the Charlie Norwood VA Medical Center and taught at MCG. He has been an assistant professor of radiology at the medical school since 1996. Since his return to Augusta he has served on the MCG Foundation Board of Directors, currently as treasurer. He has been an active member of the Alpha Omega Alpha Honor Medical Society and has been a recipient of the MCG Distinguished Faculty Award, American Medical Association’s Physicians Recognition Award with Commendation, Republic of Vietnam Community Service Award, the Milton Antony Medical History Award from MCG, and the Instructor of the Year Award from Candler Hospital’s School of Radiological Technology. He is a former councilor and a fellow of the American College of Radiology. He and his late wife Barbara funded the sculpture in front of the Children’s Hospital of Georgia in 1997 and the Lloyd B. Schnuck, Jr., MD School of Medicine Scholarship began in 1999. Dr. Schnuck founded the Barbara Schnuck Endowed Chair in 2005. Augusta businessman and philan-thropist Peter Knox has given a $1 million gift to the Georgia Cancer Center to help support its future director. The gift creates a discretionary fund, which the director can use to address critical areas he or she identifies. Examples could include new equipment or recruitment and/or retention of faculty. 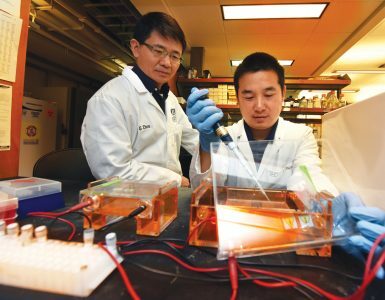 The Medical College of Georgia and the university are in the final stages of the director search, with the aim of having someone in place this fall. The American Cancer Society estimates that nearly 1.7 million new cases of cancer were diagnosed in the United States and a little more than 600,000 people died from the disease, last year alone. That happens, Hess said, by expanding clinical and basic science research and providing access to novel cancer therapies. He is working with cancer center leaders to also grow clinical operations by recruiting more frontline physicians, particularly hematologists/oncologists and radiation oncologists. 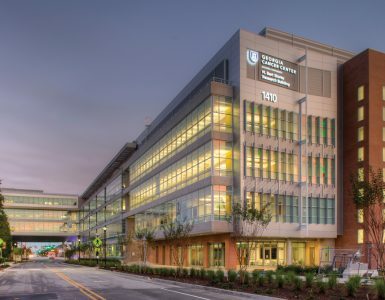 Physical growth at the Georgia Cancer Center also will continue with the upcoming opening of the M. Bert Storey Cancer Research Building expansion, the first phase of an integrated, single center that combines clinical cancer care and research programs. The additions include approximately 72,000 square feet of new construction and approximately 6,000 square feet of renovated space, including a five-story expansion of the research building and an elevated connector that spans historic Laney Walker Boulevard, connecting the treatment and research facilities to enhance collaboration. I’ve heard this mantra of medical education many times over the past two years, and as a recent graduate, I have a new appreciation for it. The hierarchy of training built into traditional medical campuses can make this method difficult, but at the Southwest Campus these words still ring true. In Albany, and the surrounding south Georgia clinical sites, there were no residents to crowd me out of the operating table or send me to fetch faxed documents. It was just me and my attending, and together we learned medicine. She taught me about the energy, empathy and efficiency that go into great doctoring, and once in a blue moon I could shine by reminding her how ferritin levels relate to anemia in chronic disease. Now finished with clinical rotations and enjoying my precious remaining free time, I am realizing that spending my clinical years at the Southwest Campus was the best decision I made since applying to the Medical College of Georgia. Regional campuses are a blessing that many medical students are not afforded, and one that I believe has enhanced my training and medical perspective. Initially the idea was somewhat intimidating: “You expect me to leave 90% of my classmates behind and move to a small town in south Georgia?” “Will I have to work in a different city each month?” “Will I see a wide range of pathology?” All of these concerns were ultimately unfounded. During our first week we were welcomed with a low country boil by Dr. Stephen Russ, a 2012 MCG graduate who regularly hosts gatherings for Southwest students. Visiting clinical sites in different cities was a welcomed perspective on the variety of health care settings, and I found myself enjoying time away from the competitive mindset of the Augusta campus. 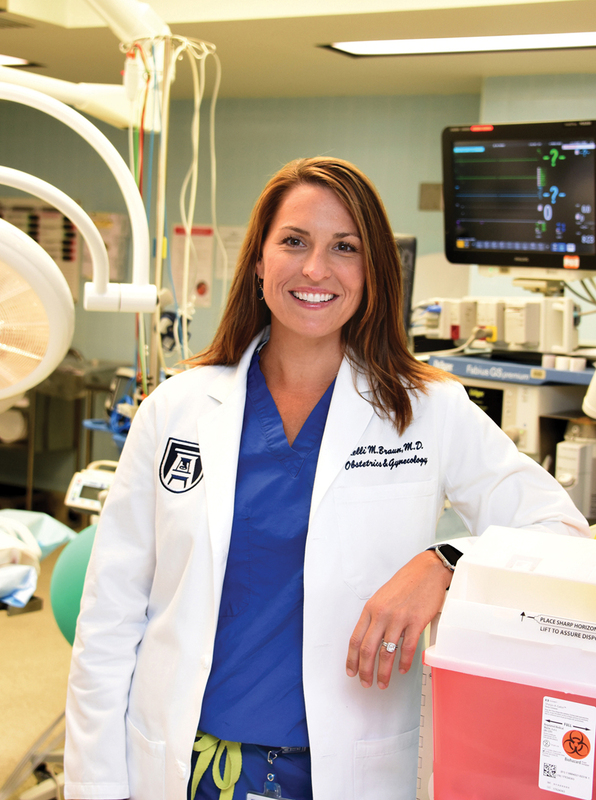 While we may not see as many medically complex and complicated procedures as those that pass through the halls of Augusta University Medical Center, the “meat and potatoes” of medicine abounds down here. Research projects, large clinical responsibilities, and the demands of managing residents can be overwhelming for attendings and leave medical students grasping for crumbs. But the Southwest campus faculty are neither required to teach nor financially compensated for their efforts. Those who choose to, like Dr. Kathy Hudson, ’98, in Albany, Dr. Dixie Griffin, ’05, and Dr. Eric Paulk, ’06, both in Tifton, selflessly devote their time and energy to passing their knowledge on to the next generation. Additionally, working with MCG graduates has been a confidence-boosting reminder of the quality of training our medical school has provided for generations. One final question often lingers in the minds of those considering a regional campus: “Will this experience make me a more competitive residency applicant?” I personally didn’t achieve AOA status or finish top of my class. However, I did manage to match into my top choice urology program, and for this the Southwest Campus deserves recognition. Several interviewers remarked about the collection of unique, highly-personalized rotation evaluations in my application. This was the direct result of spending my rotations working one-on-one with my attending physicians. The closeness of our professional relationships allowed my educators to more critically evaluate my strengths and help me improve my weaknesses. The same comments were made about my dean’s letter, written by our regional campus dean. Dr. Doug Patten is a tremendous student advocate and is passionate about his students becoming a part of the local community. 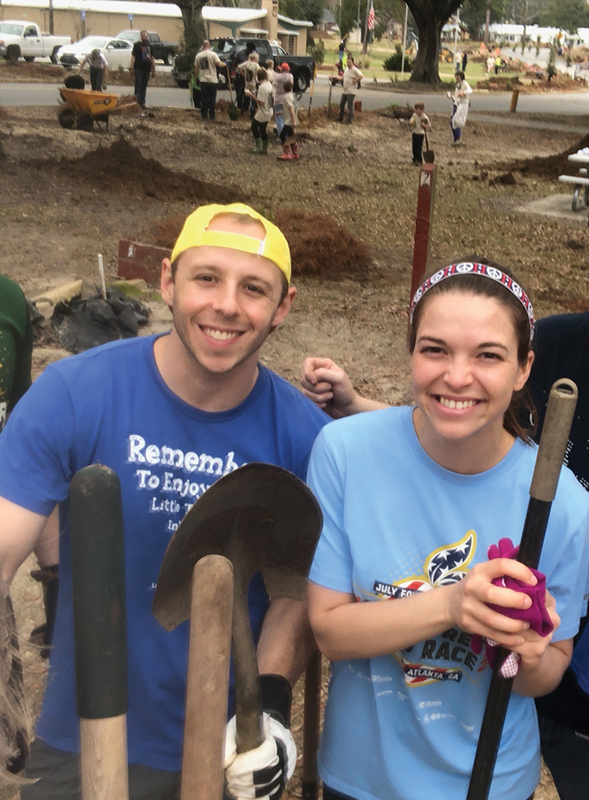 When two devastating tornadoes passed through Albany in early 2017, Dr. Patten invited us to participate in a large community relief effort. One year later we joined the community in planting hundreds of trees to rejuvenate a large local park affected by the storms. Opportunities like these provided a unique perspective into the importance of physicians being active members of their local community. For me, the Southwest Campus was not just a choice, it was an investment. Now two years in, I feel at home here. As I look forward to beginning residency training, I have a wealth of memories to look back upon fondly, and a few good reasons to consider bringing my future practice back to South Georgia. Applicants for admission to the Medical College of Georgia Class of 2023 will be the first to go through the medical school’s redesigned interview process. The old process required each potential student to go through two, 30-minute-long one-on-one interviews. That system created scheduling challenges for admissions committee members, heavier workloads for the faculty who volunteer to interview potential students, and delays in completed applicant files and ultimately admission decisions. Applicants to the state’s public medical school will now go through a Multiple Mini Interview, or MMI, a style created at McMaster University that evaluates noncognitive skills and draws multiple samples of applicants’ abilities to think on their feet, critically appraise information, communicate ideas and demonstrate that they’ve thought about issues that are important to the medical profession. An MMI interview process consists of eight stations that are each eight minutes in length. Each station has a dedicated theme to assess applicants’ personal characteristics that are important to MCG. Some examples include a station that addresses critical thinking and assesses the applicant’s strengths and weaknesses; or a teamwork station that allows applicants to demonstrate how they can work collaboratively, share information and knowledge with others and put team goals ahead of individual goals. The new process will also lessen the time commitment of the traditional system. The 2017/18 admissions cycle required faculty to commit to 66 days of interviews – many times performing multiple interviews each day. With the new system, Braun says up to 16 students per day can be interviewed, shortening the number of interview days to 38. In addition to participating in MMIs, applicants will also be required to take a CASPer test, an online screening tool designed to evaluate key personal and professional characteristics that make for successful students and graduates. CASPer measures traits like professionalism, ethics, communication and empathy. In addition to the changes to the interview process, the Admissions Committee will reduce its membership from 29 to approximately 14. They will continue to screen applicant files, review candidates who will be presented to the full committee for possible admission and attend voting sessions. Individual interview responsibilities, which have fallen exclusively to committee members, will be opened up and could include patients, students and faculty not on the committee and even community members.